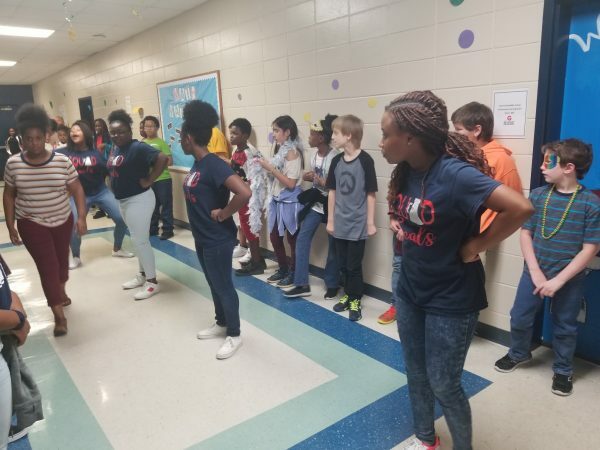 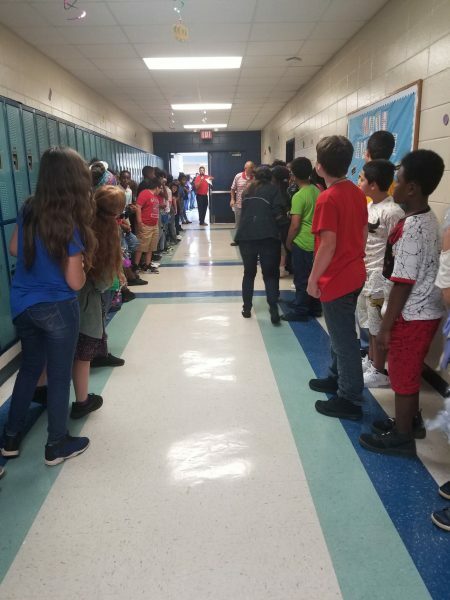 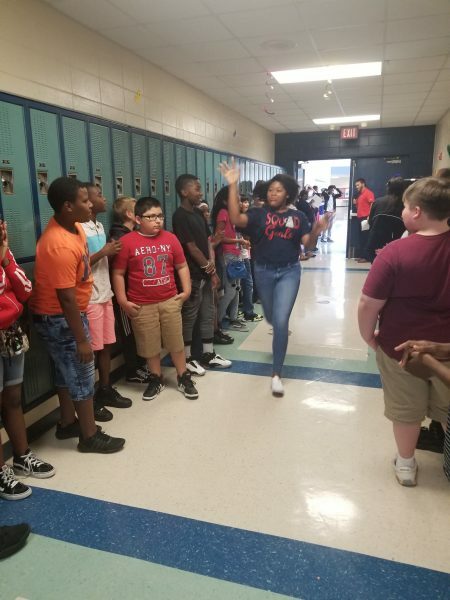 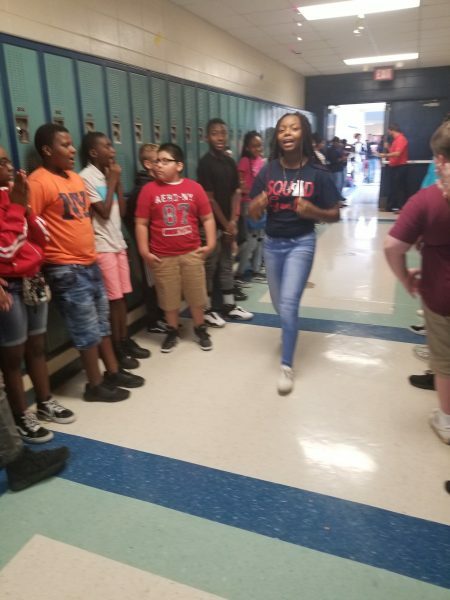 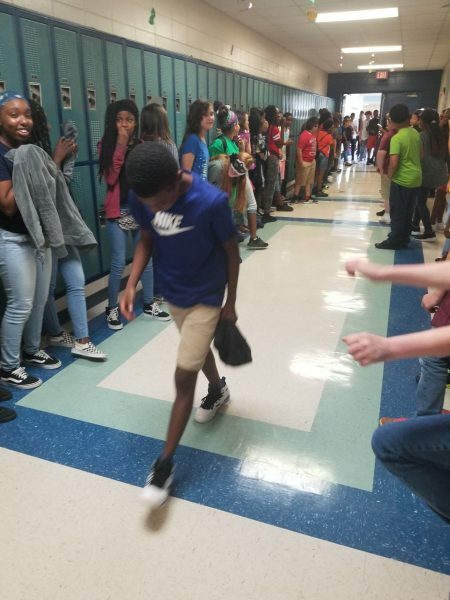 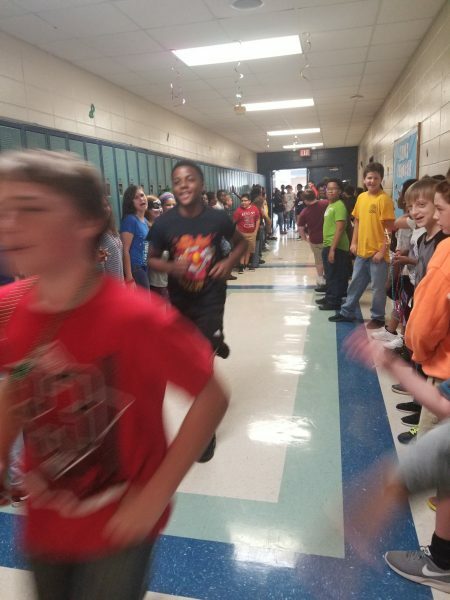 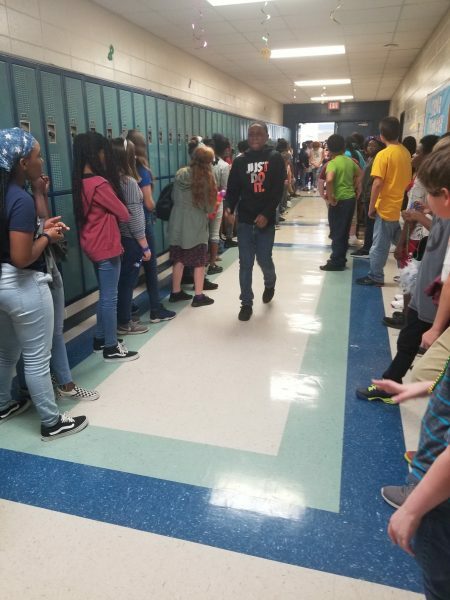 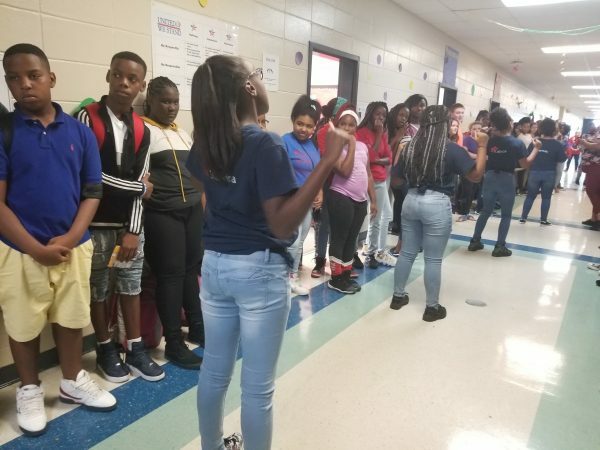 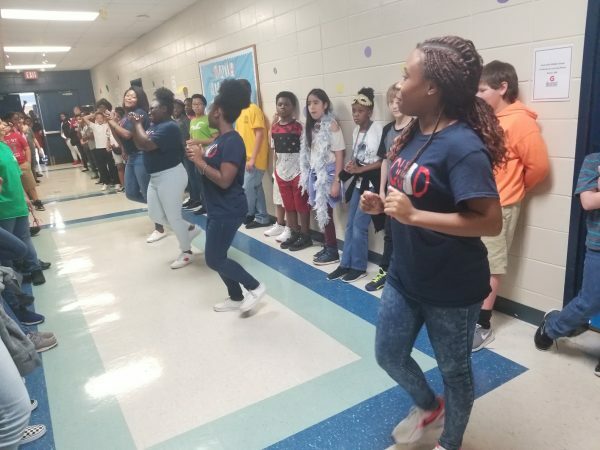 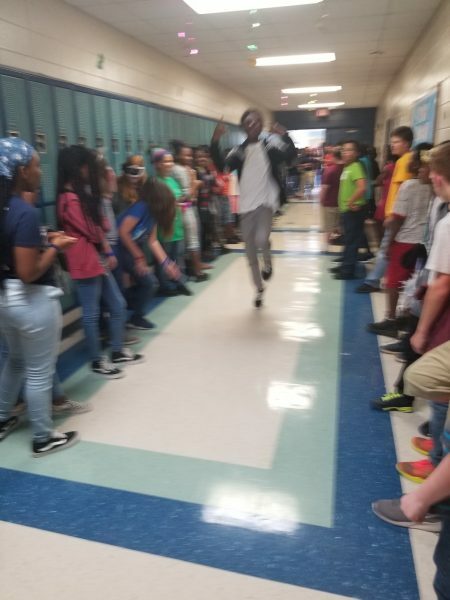 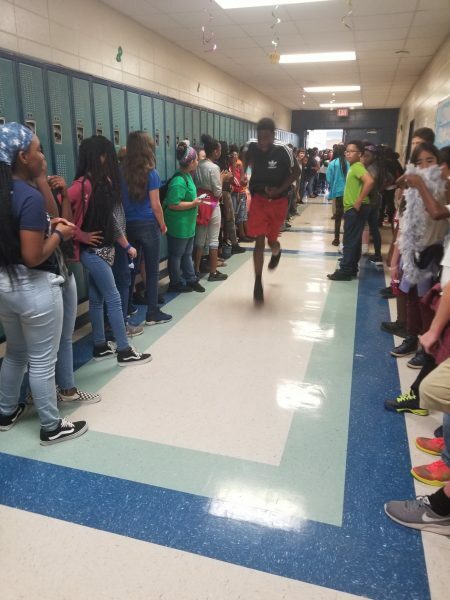 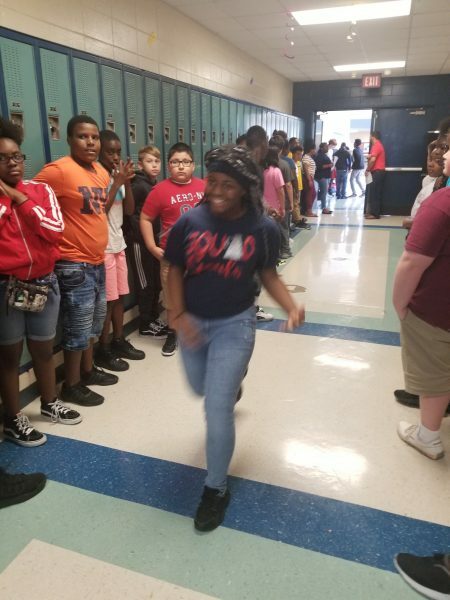 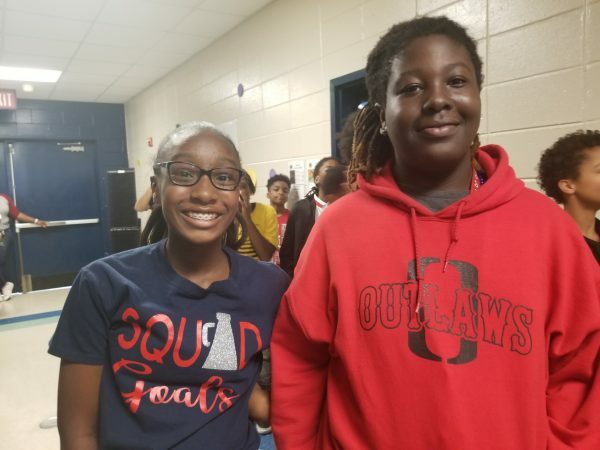 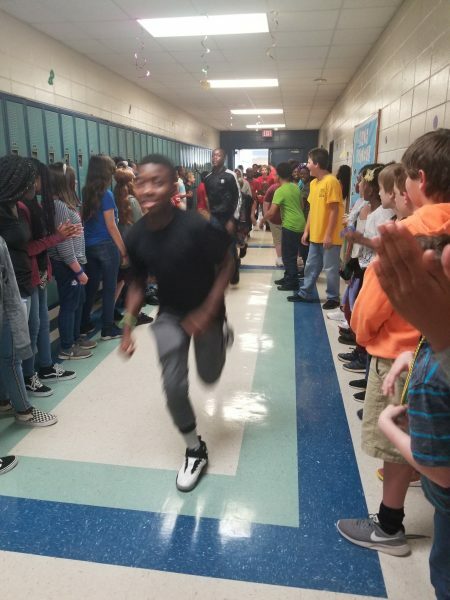 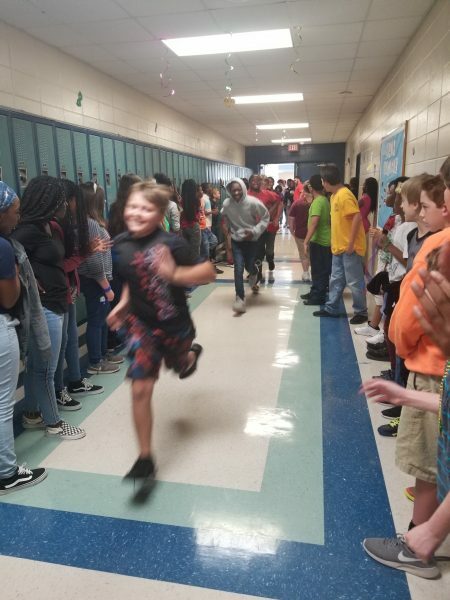 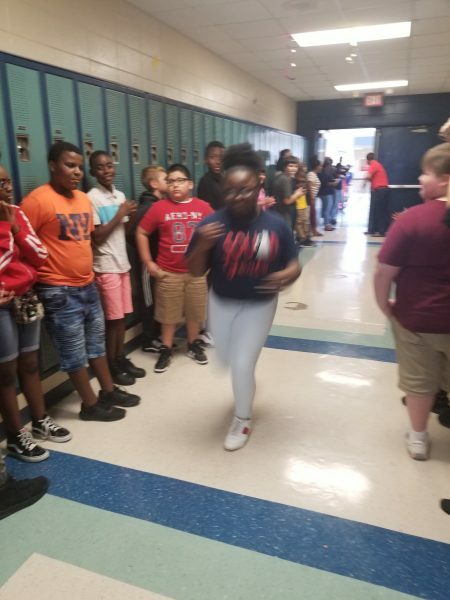 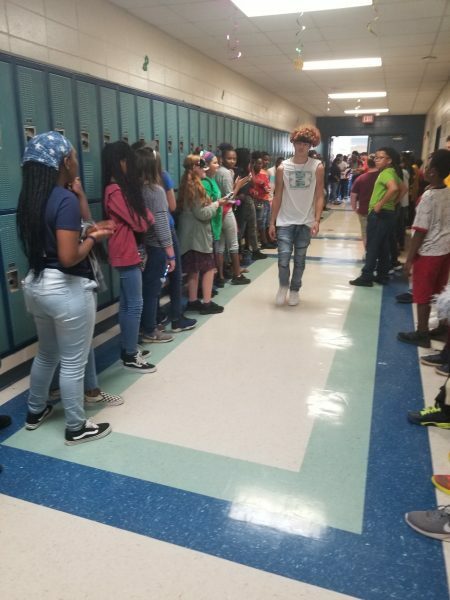 On Friday, September 28th students with no behavior issues were able to participate in a PBIS “block party” on the middle school hall! 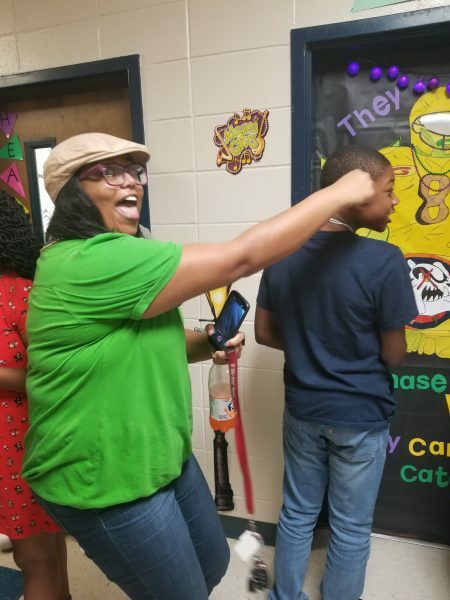 Our own Mr. Fordham set up speakers in the hallway and served as our DJ for the afternoon! 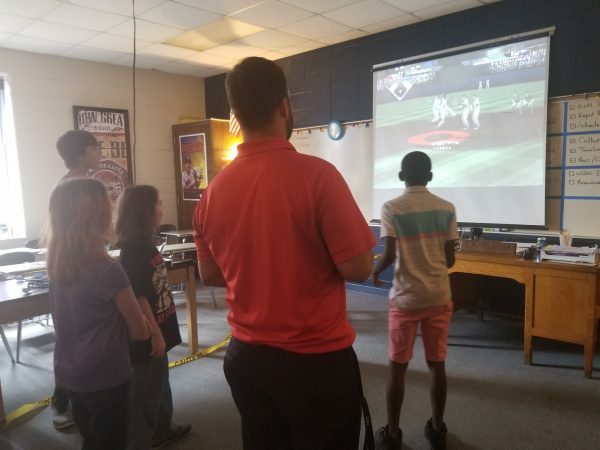 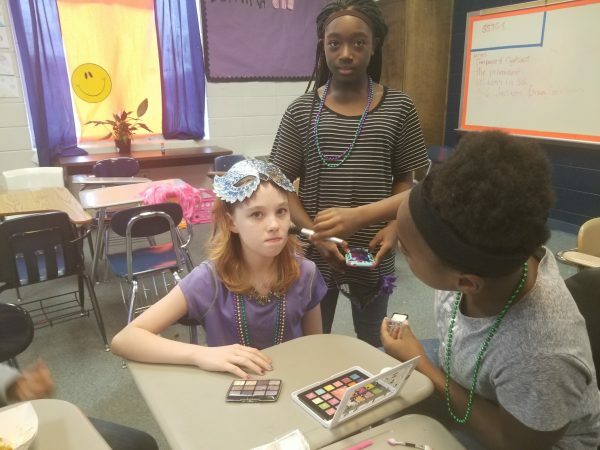 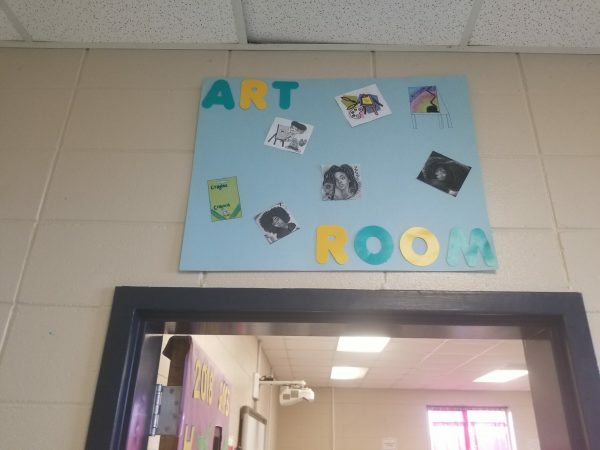 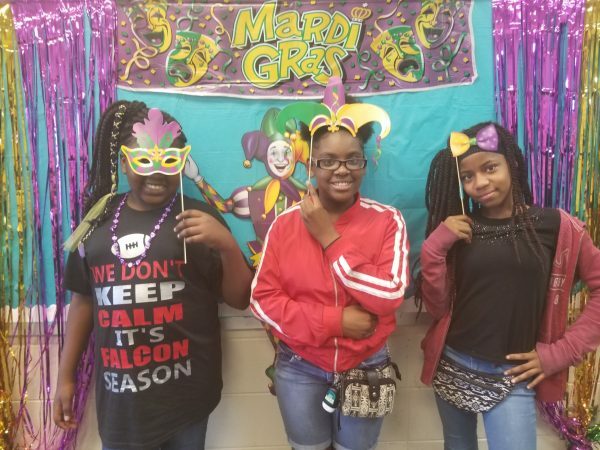 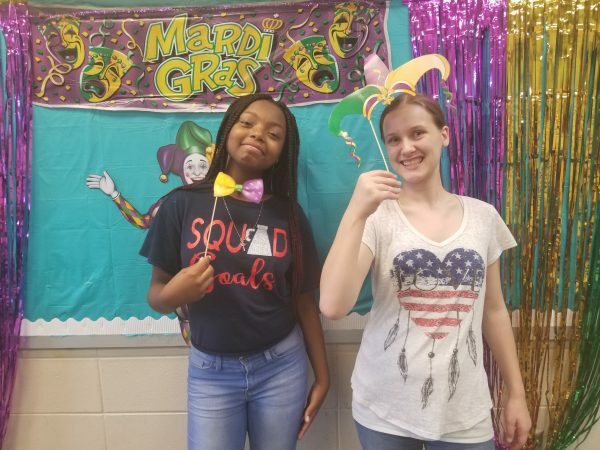 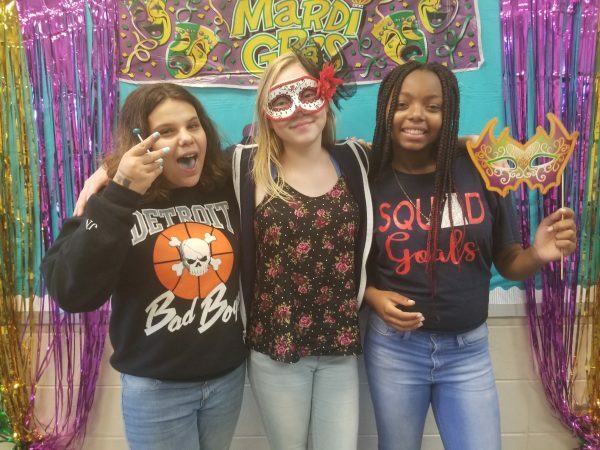 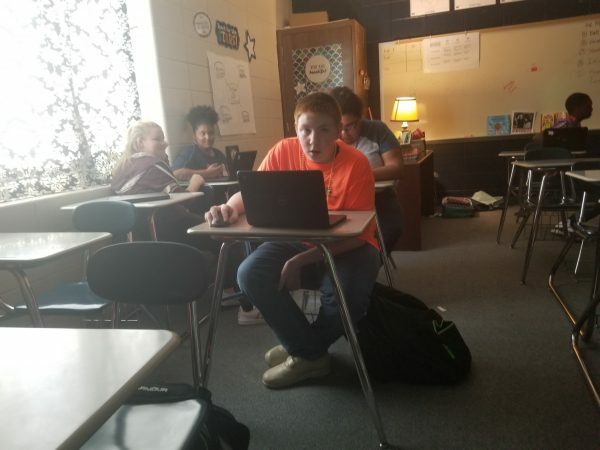 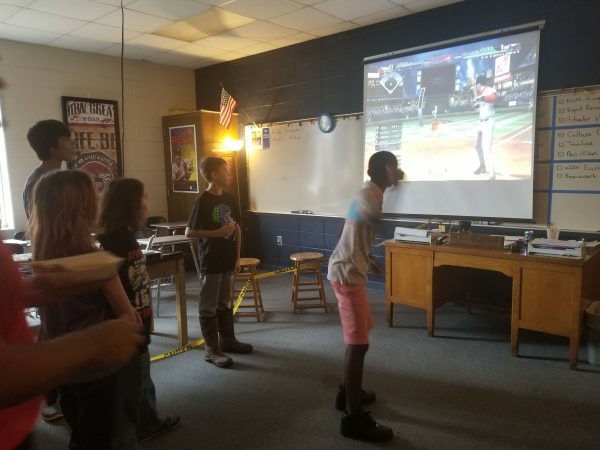 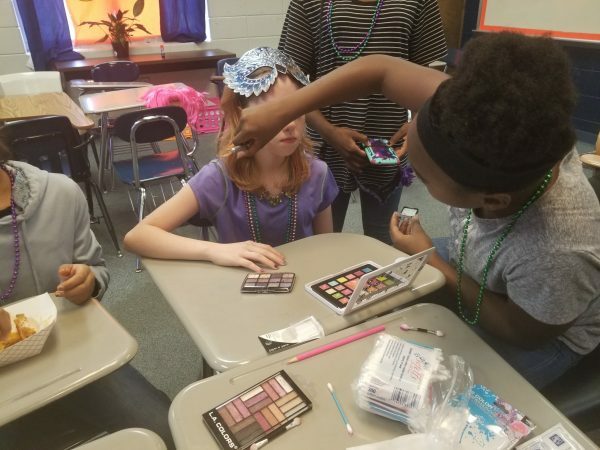 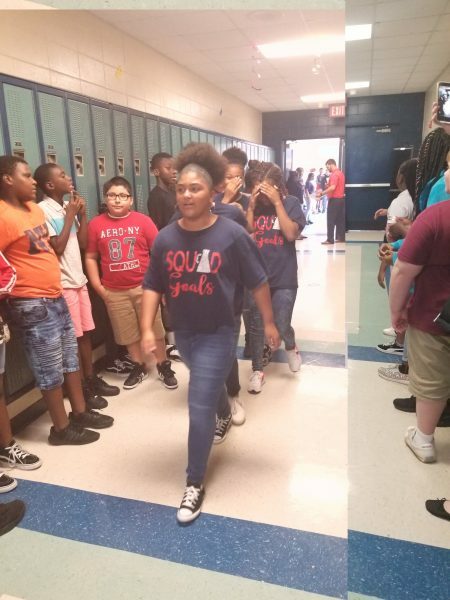 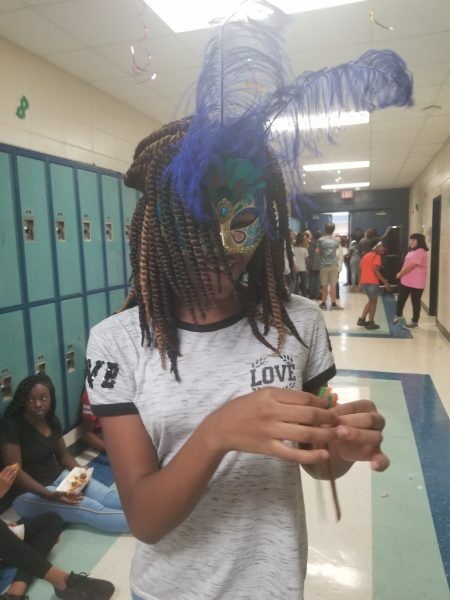 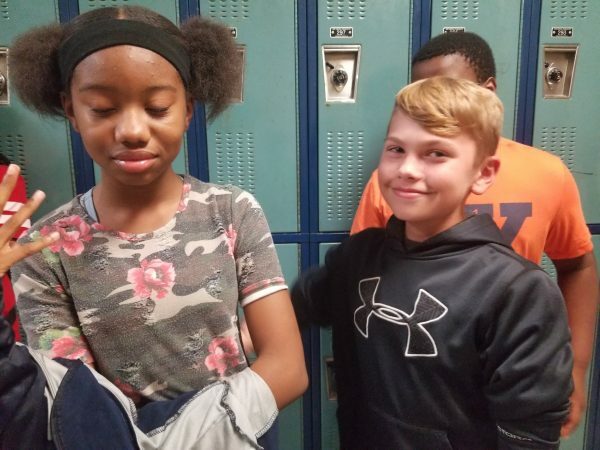 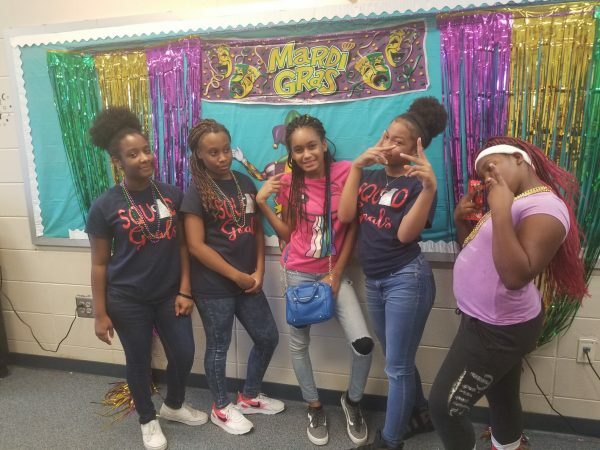 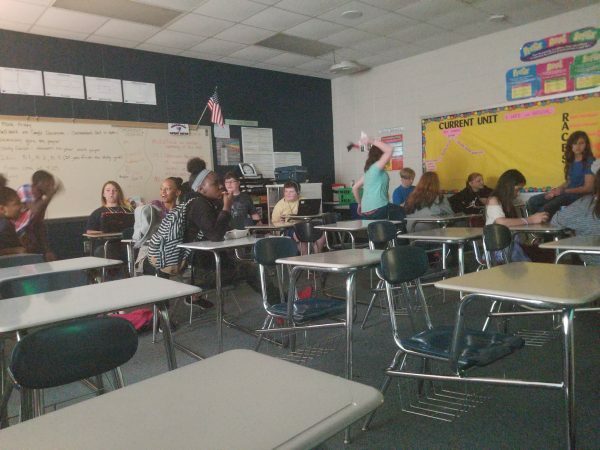 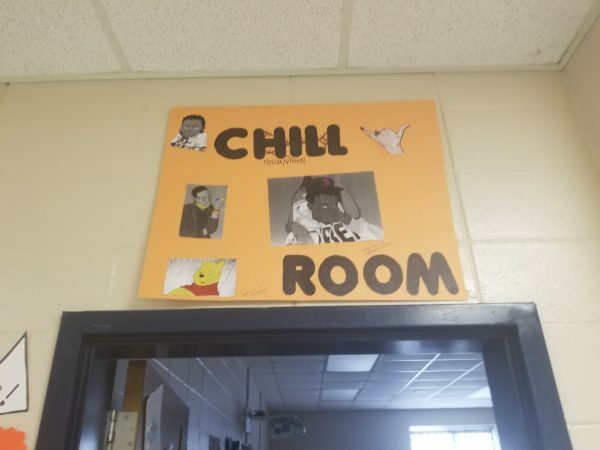 Students were also able to buy snacks and participate in different activities going on in different classrooms, such as the video game room, the pampering/salon room, the art room, and the “chill” room. 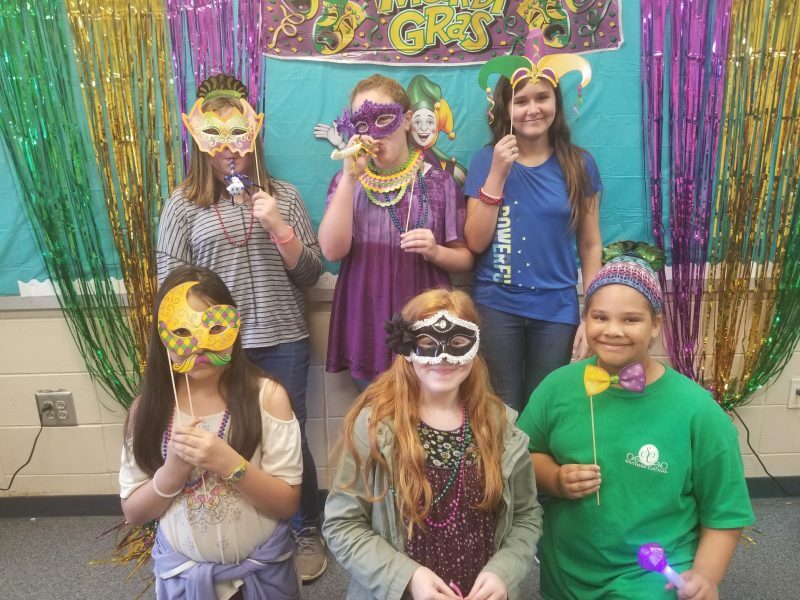 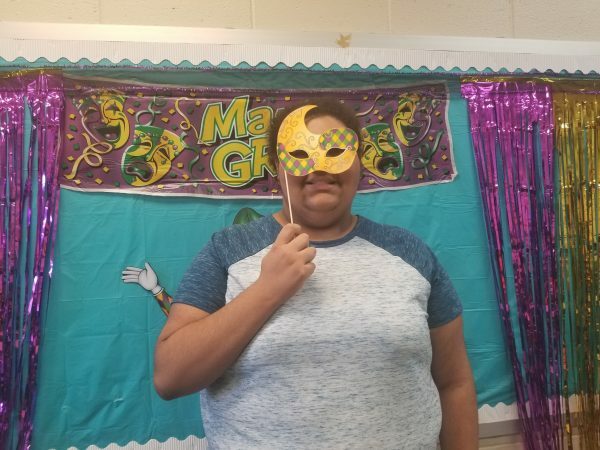 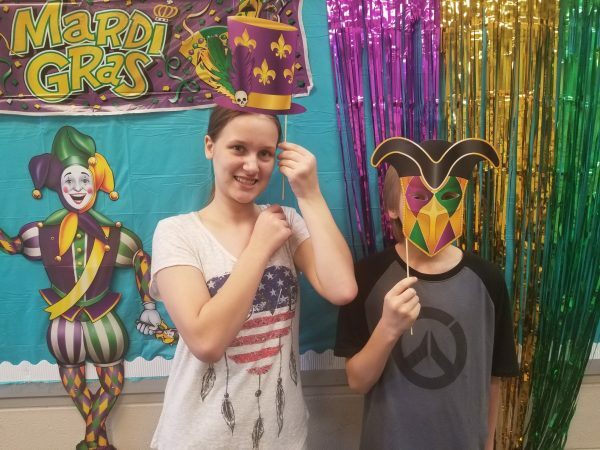 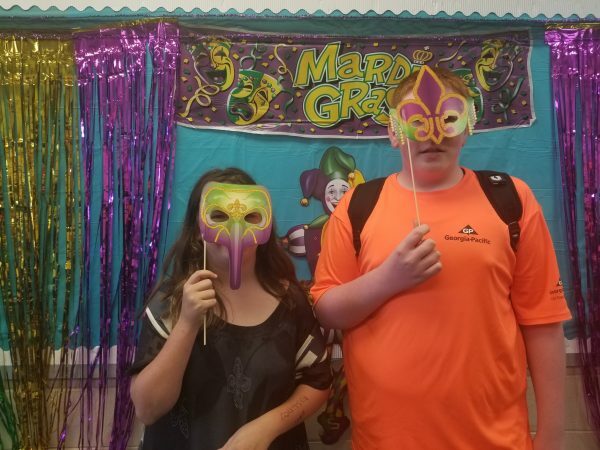 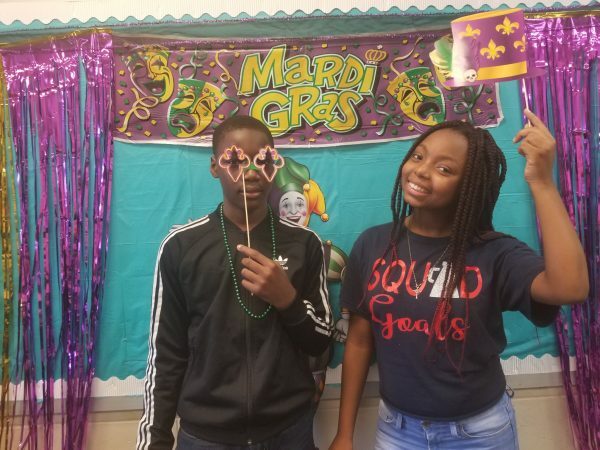 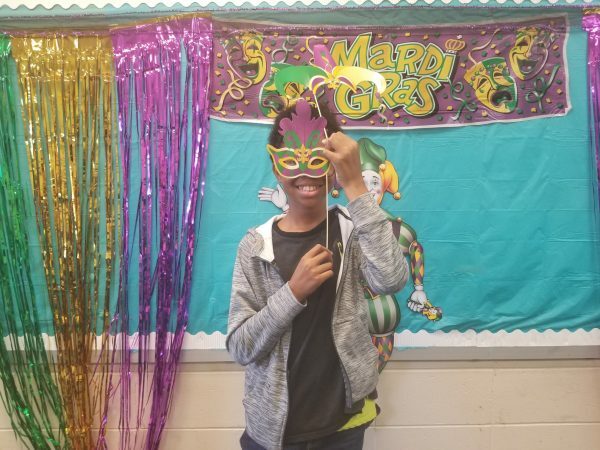 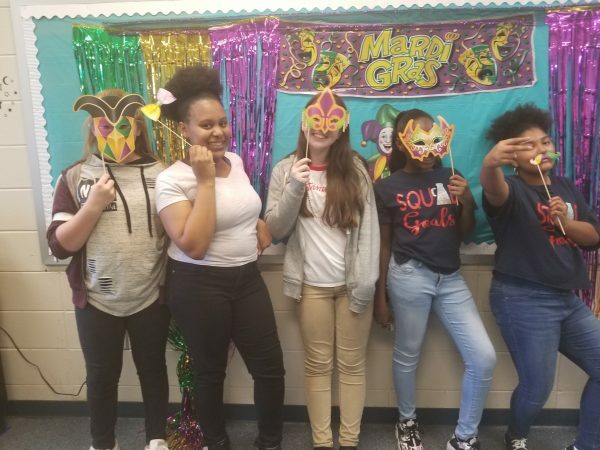 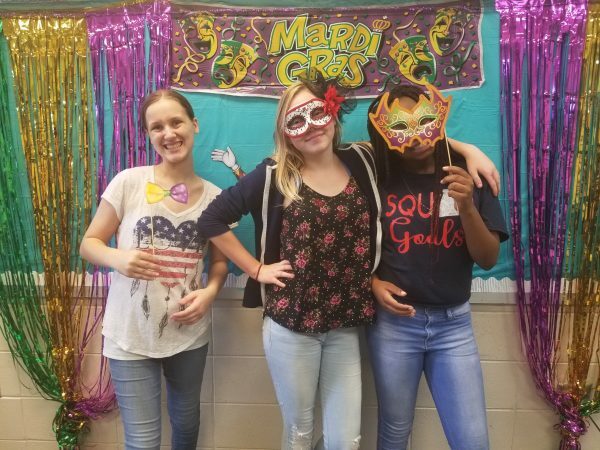 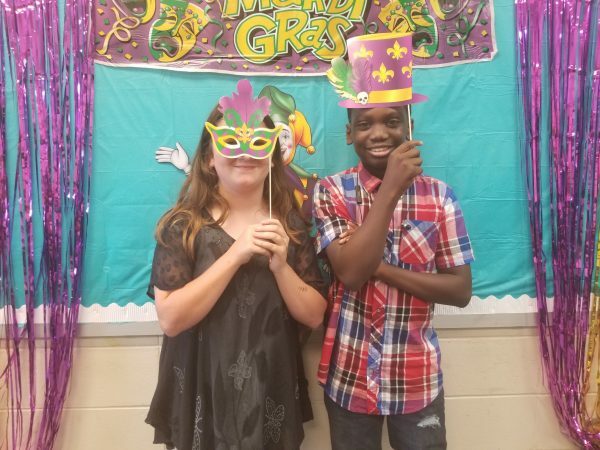 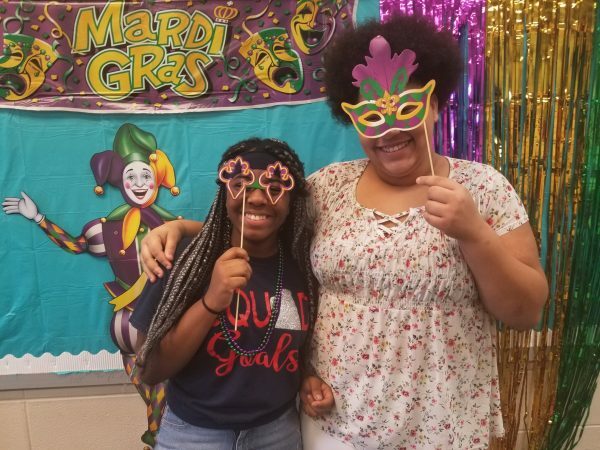 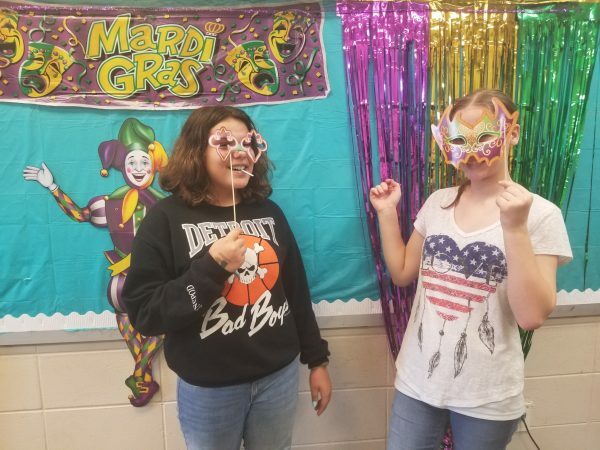 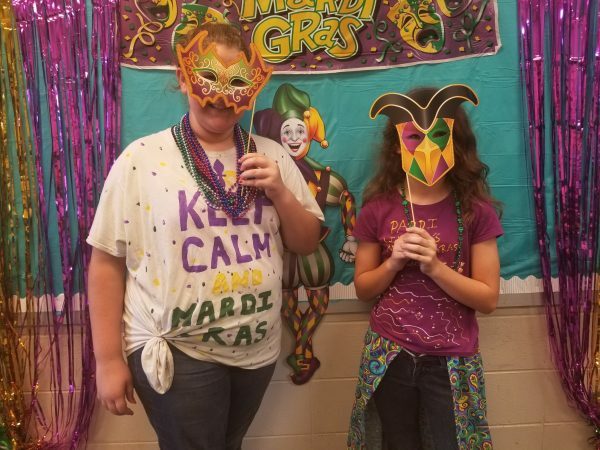 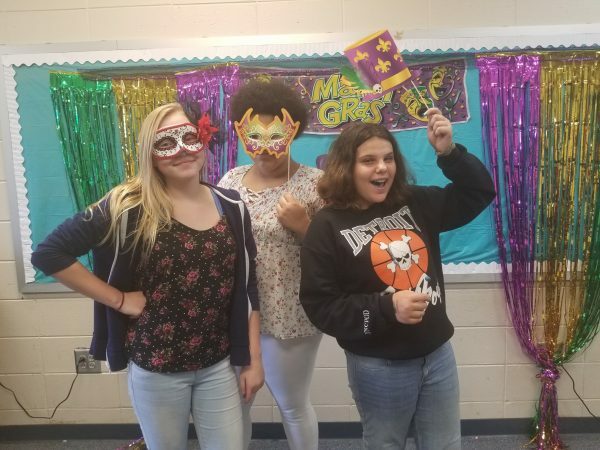 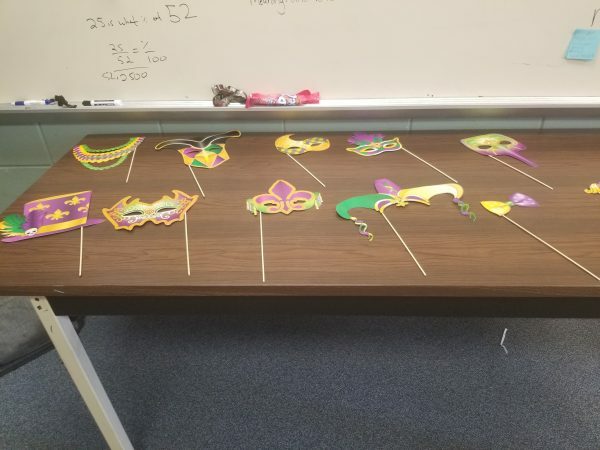 A photo booth was also set up to go along with our Homecoming theme of Mardi Gras. 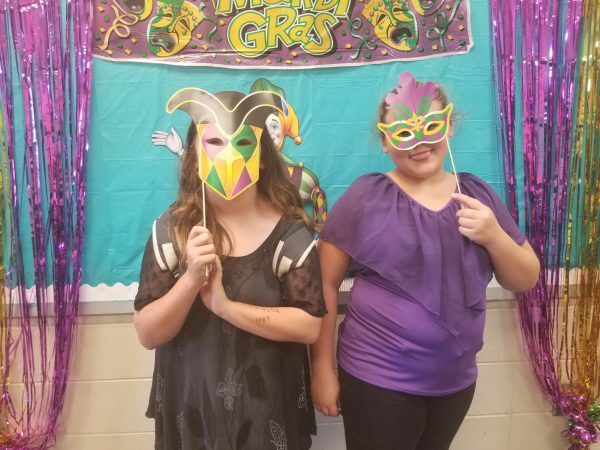 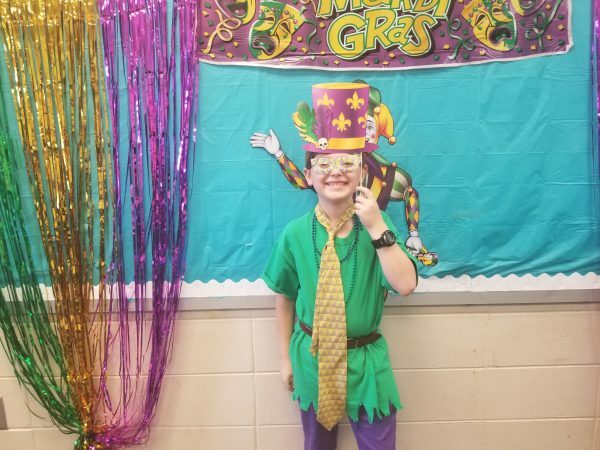 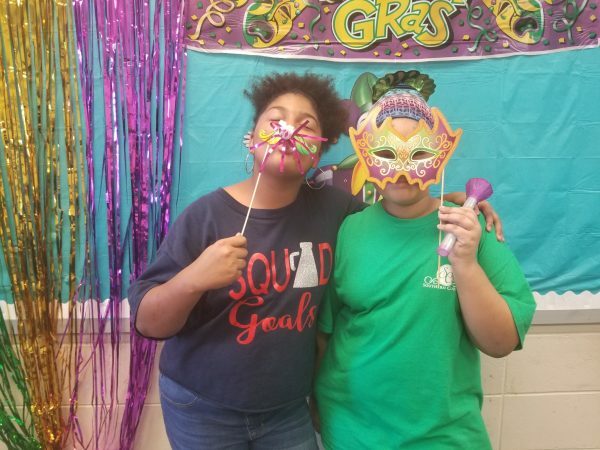 Students had a blast dressing up and having fun with their friends! 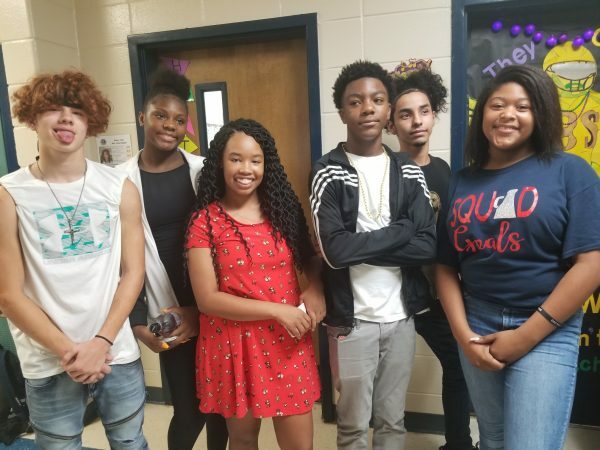 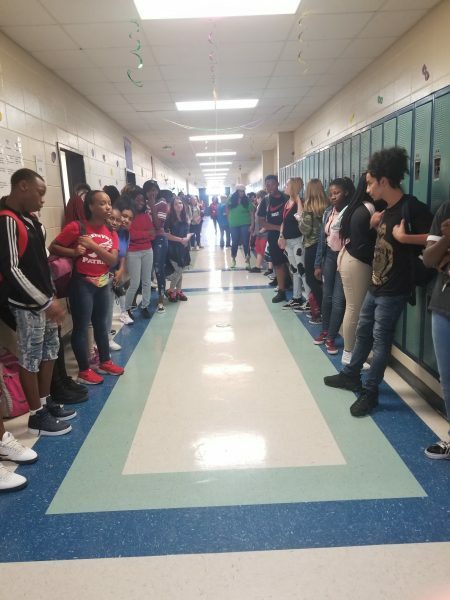 Finally, we also recognized our 2018-2019 GMS Homecoming Court, as well as the GMS football team and cheerleading squad as part of a “hallway pep rally” to get them pumped up for the Homecoming game next Wednesday!